The Hillsboro Naturopathic Clinic was started by Dr. Victoria Lutskovsky to achieve her goals of treating the whole person and helping the body improve itself. Dr. Lutskovsky works with other health care professionals, including Doctors of Naturopathic Medicine, Chiropractors, Massage Therapists and various laboratories. Dr. Lutskovsky graduated as Doctor of Preventative Medicine in former USSR. Aside from traditional medicine, she studied and practiced acupuncture, acupressure, and laser therapy on acupuncture meridians. After relocating to the United States, Dr. Lutskovsky pursued a course of study in Naturopathic Medicine, graduating from the National College of Naturopathic Medicine in 1998. 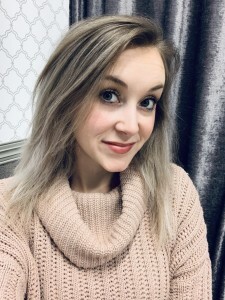 She currently is a licensed Naturopathic Doctor in State of Oregon, running a busy Naturopathic clinic in accordance with regulations about scope of Naturopathic practice. 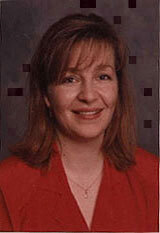 Dr. Lutskovsky began her medical career in the city of Kharkov, Ukraine. Prior to beginning her post-graduate work, Dr. Lutskovsky worked in the Public Health Department, dealing with epidemiology and public health. Her experience with preventative medicine led her to Naturopathic and Homeopathic Medicine. After receiving her degree from the National College of Naturopathic Medicine in 1998, she opened the Hillsboro Naturopathic Clinic on Baseline Road in Hillsboro, OR. Since then, the clinic has added services and moved to its current location on 4th Ave.
Like any other doctor, the Hillsboro Naturopathic Clinic places the patient’s health as its number one goal. We cannot forget that we treat a person, not a disorder. To us, this means we keep in mind the overall well-being of the patient as we help him or her overcome anything they are dealing with. 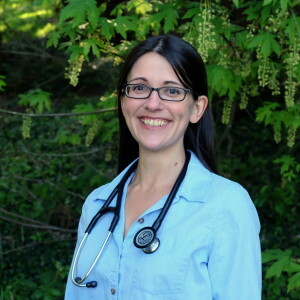 Dr. Valerie Netherland has enjoyed practicing holistic family medicine at Hillsboro Naturopathic Clinic since 2006. She combines the principles of Naturopathy and Classical Chinese Medicine to treat patients based on their individual needs. With modalities including nutritional counseling, Chinese and western herbs, acupuncture, physiotherapy, and homeopathy. Dr. Valerie strives to help patients achieve health and balance by optimizing the intrinsic healing power of the body. As a primary care physician, Dr. Valerie treats both acute and chronic conditions, with an emphasis on gastrointestinal disorders, women’s health, musculoskeletal injuries and chronic pain, anxiety and depression, adrenal fatigue, allergies and detoxification. Dr. Cori Burke works with people of all ages, practicing truly integrative family medicine. In her practice she focuses on pediatrics, women’s health, endocrine, and digestive disorders. She is able to perform well child and well woman visits, as well as treating acute and chronic health conditions. She especially enjoys working with women on fertility challenges to optimize health and pregnancy outcomes. As a naturopathic physician, she places a strong emphasis on preventative medicine and nutrition and will work with you to be a partner in your health journey. Dr. Burke earned her doctorate in naturopathic medicine from the National College of Natural Medicine (NCNM) in Portland, Oregon. During her schooling she participated in a prestigious one-year internship in gynecology and primary care with Dr. Kimberly Windstar at NCNM as well as a six-month internship in integrative cardiology and pulmonary medicine with Dr. Jeremy Mikolai at the Center for Natural Medicine. She also took part in numerous clinical externships in naturopathic and conventional pediatric medicine. Dr. Burke is a trained practitioner of the Arvigo Techniques of Maya Abdominal Massage (ATMAT), a powerful modality for digestive and reproductive health. 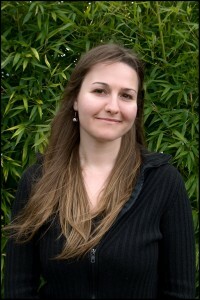 She has advanced training in Classical Homeopathy through the New England School of Homeopathy in Seattle, Washington. She has also studied herbal medicine at the Herb Pharm in Williams, Oregon and the Philo School of Herbal Energetics in Philo, California. Dr. Burke received her Bachelor’s degree in Fine Art from the University of California at Santa Cruz. Cori has had a passion for natural medicine from the time she was a small child picking chocolate mint and pineapple weed in her parents’ yard to make teas and perfumes. She still loves making her own medicines, as well as practicing yoga, hiking, knitting, cooking, and spending time with friends and family. I grew up mostly in the midwest but did spend some of my childhood in the PNW outside of Portland. After being honorably discharged from the military, I discovered my passion for skin care and I received my license as an esthetician from The Summit Salon Academy located in Washington state. Starting out, I worked primarily on customized facial treatments, microdermabrasion, and chemical peels while learning the ways of the beauty industry. I went on to study advanced aesthetics in Colorado state, increasing my knowledge base on light therapies, injectables, and other medical spa service treatments. Thriving as an esthetician in a Forbes Five Star spa, I learned a great deal about quality of care and quality of the experience. Now that I’ve relocated back to Oregon, I specialize in IPL, radio frequency, and variety of quality skin care treatments. I strive to educate all of my clients on proper maintenance and optimal skin health. I work with each client to identify their main concerns, and can help develop an appropriate and safe treatment plan. I actively check in with clients each visit to ensure they’re on the correct path and make adjustments as needed. My primary focus is to help enhance the natural health of your skin while helping you achieve a clearer complexion, acne relief, or total skin rejuvenation. I am excited about building lasting results and relationships in Hillsboro and the surrounding areas.